After defeating England in the FIFA World Cup semi-final 2018, Croatia secured a place in the World Cup 2018 finals on Wednesday. The country with a population less than 4 lakh 20 thousand will compete with France for the title on Sunday. The country that got independence in 1991, reached the Wolrd Cup finals twice (1998 and 2018) and now they are eyeing to lift the cup. Croatia, the country with the population around 4 lakh 20 thousand booked a place in FIFA World Cup 2018 finals on Wednesday. 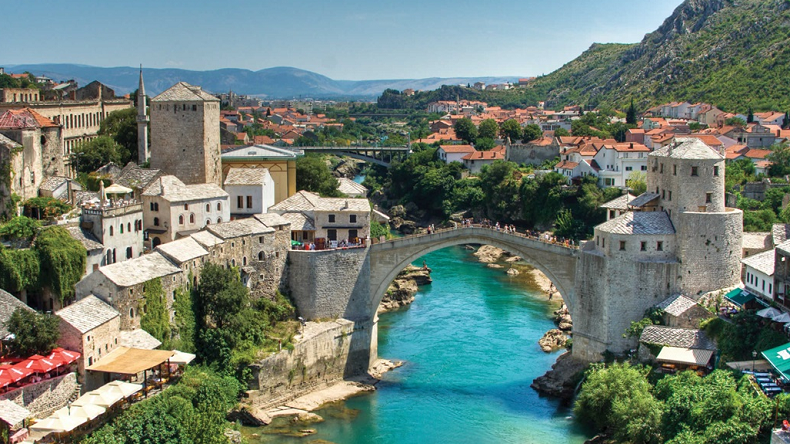 The country is located at southeastern Europe bordered by Bosnia and Herzegovina and Serbia in the east, Slovenia in West and Hungary in the north. The country covers 55,974 square kilometres of land and 620 square kilometres of water and ranks as 128th largest nation in the world. The country is officially known as the Republic of Croatia. Andrej Plenković is the current Prime Minister of Croatia, who is in power since 2016. The country has a long history of fighting for justice, equality, freedom and had broken the culture of slavery. The official language for Croats is Croatian but they write Latin. 91.06% population of the country are Christians, around 2 % are Muslims and the rest of the people doesn’t follow any religion. In 1918, the Croatian Parliament (Sabor) announced independence and decided to join the newly formed State of Slovenes, Croats and Serbs called Yugoslavia. In 1921 constitution defining the country as a unitary state and abolition of Croatian Parliament and historical administrative divisions effectively ended Croatian autonomy. The country got independence in 1991 and were recognised by the European and gained a diplomatic recognition by the European Economic Community members and the United Nations. The Croats arrived in the region in the 6th century and organised the territory into two duchies by the 9th century. King Tomislav elevated the country and retained its sovereignty for nearly 2 centuries. Croatia reached it’s the peak during the rule of kings Petar Kresimir IV and Dmitar Zvonimir. Croatia depends on Tourism and agriculture mainly. Country’s natural beauty lists it to top 25 tourist destinations of the world. Dubrovnik, Split, Plitvice Lakes National Park, Zadar are popular destinations of the Country. The old city of Dubrovnik has been a UNESCO World Heritage Site since 1979. The country has been a member of the European Union (EU), the United Nations (UN), the Council of Europe, NATO, the World Trade Organization (WTO), and a founding member of the Union for the Mediterranean.